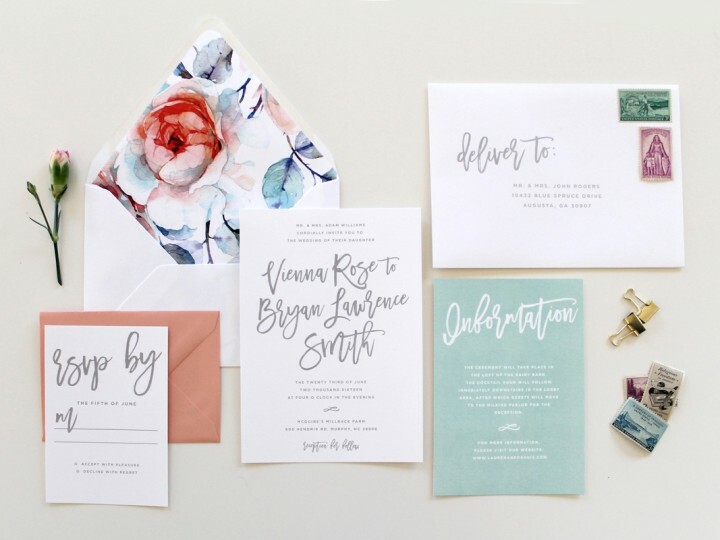 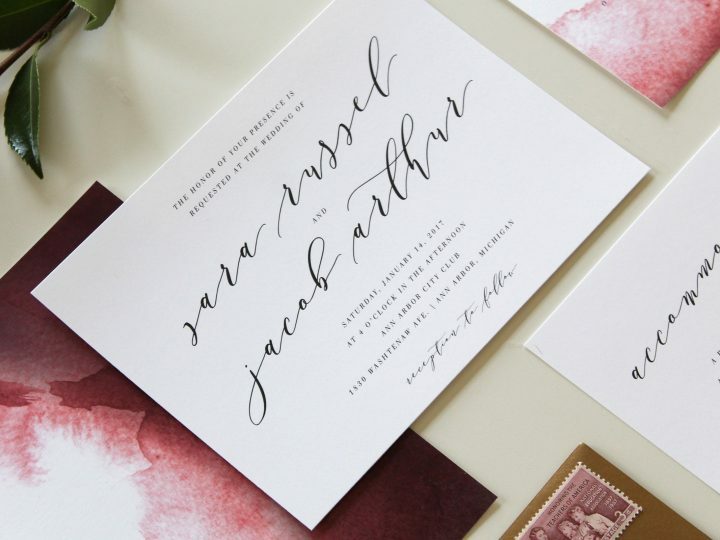 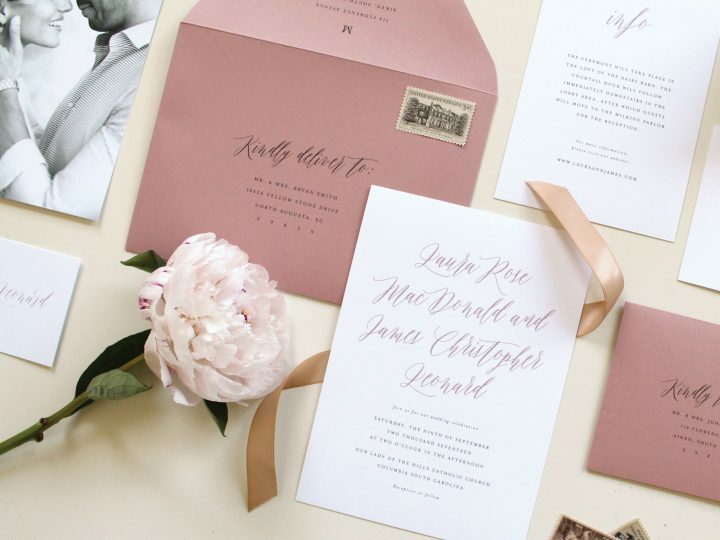 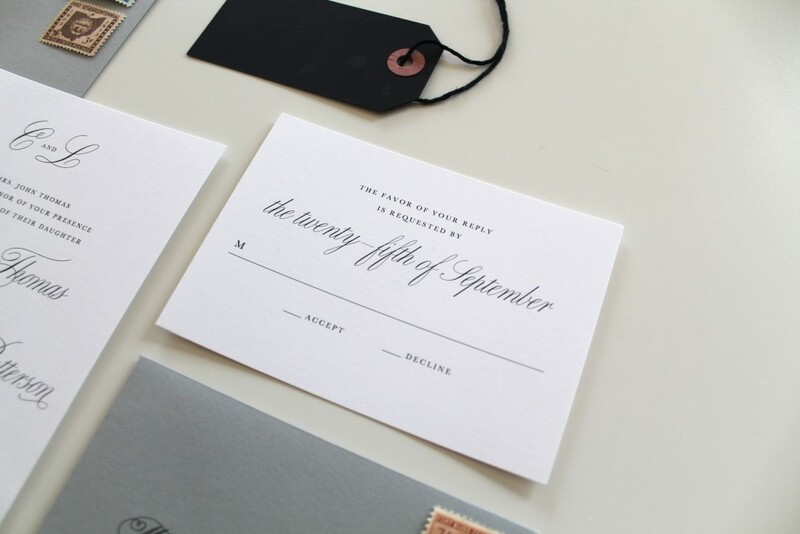 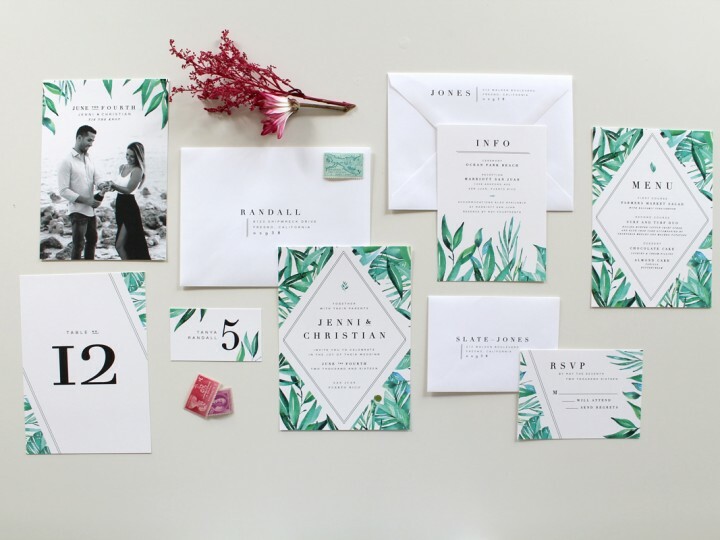 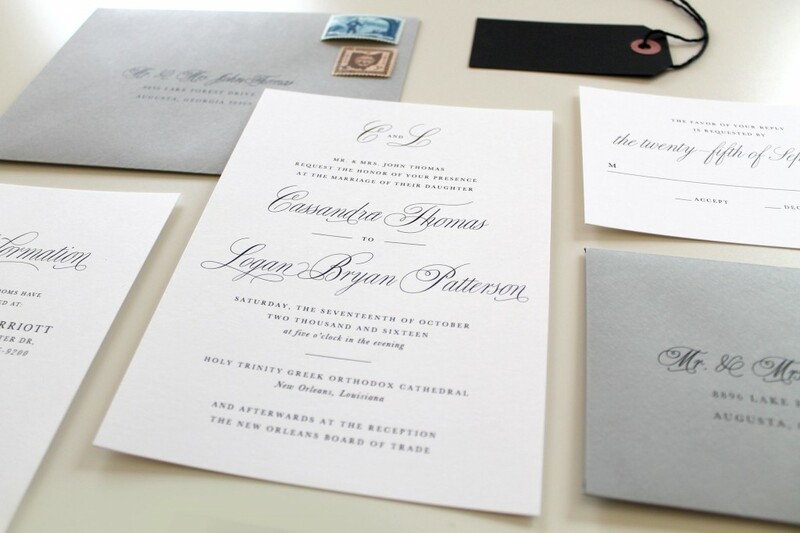 Our Traditional Wedding Invitation Set is classic and would be great for any black tie affair. 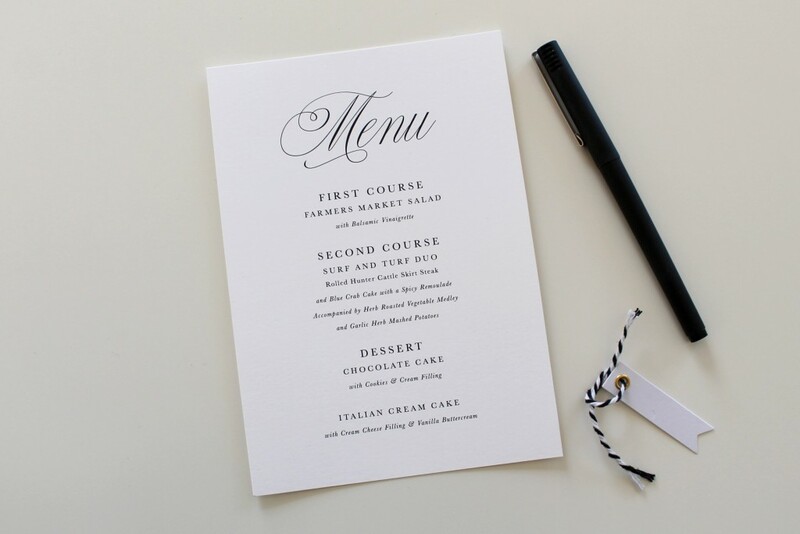 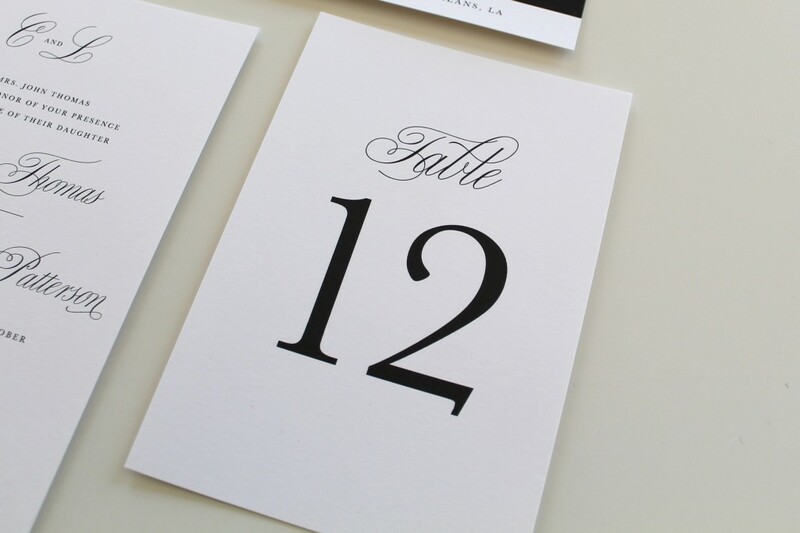 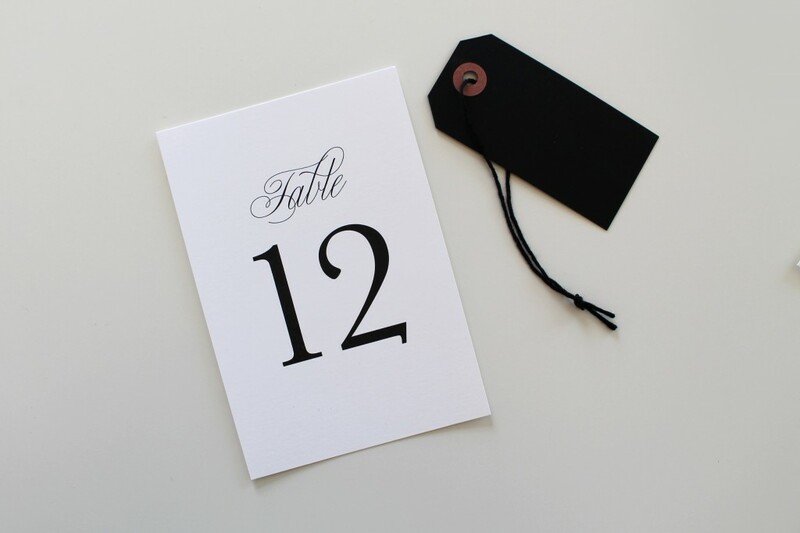 We have combined a classic script font with a traditional serif on a heavy white card stock with black ink. 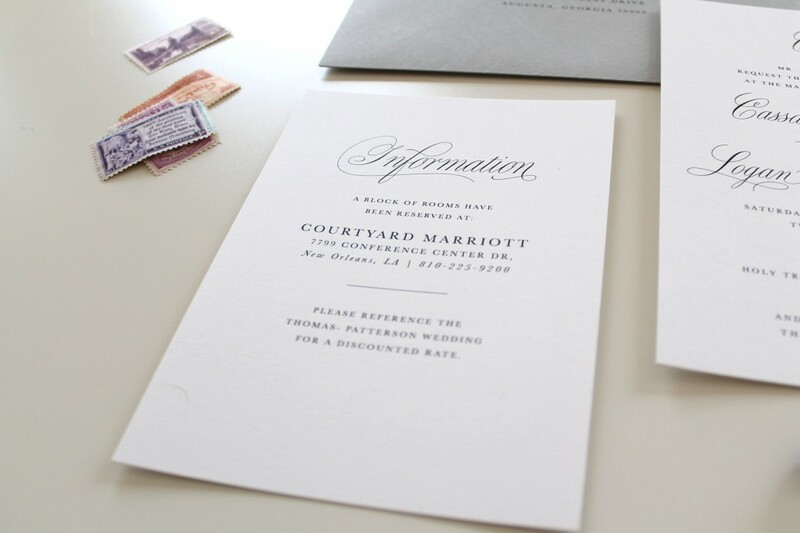 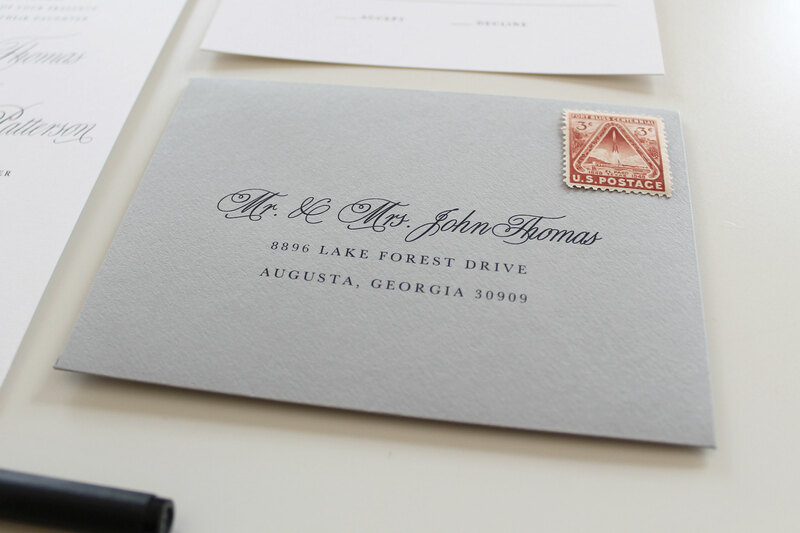 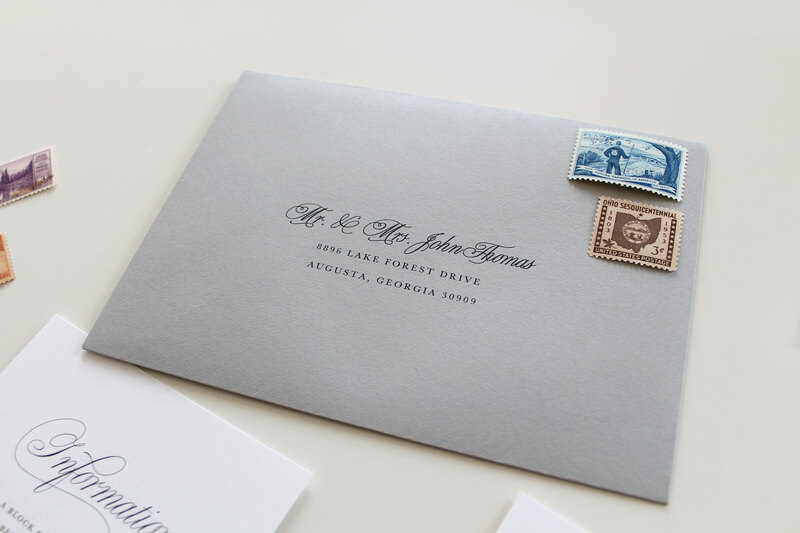 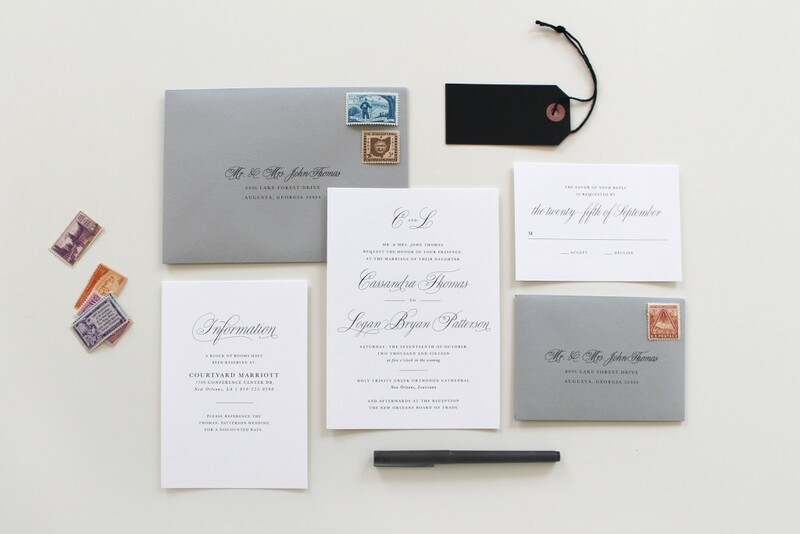 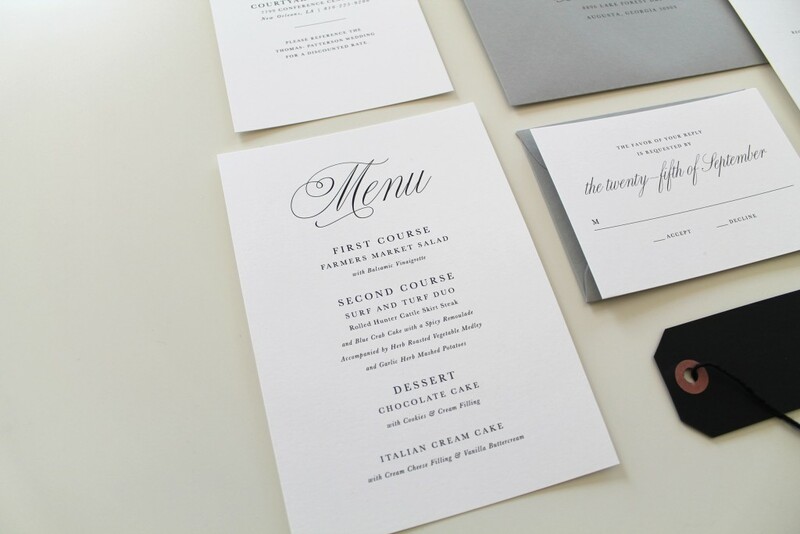 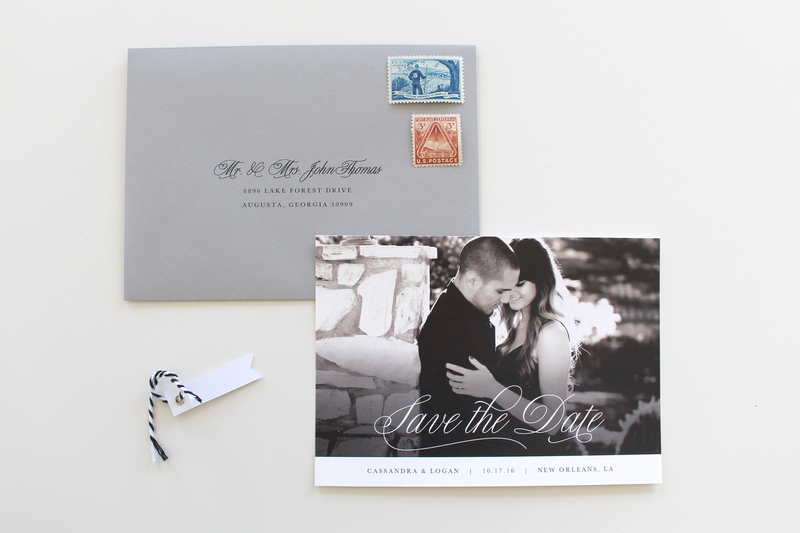 Gray envelopes were used to keep this set looking timeless and traditional. 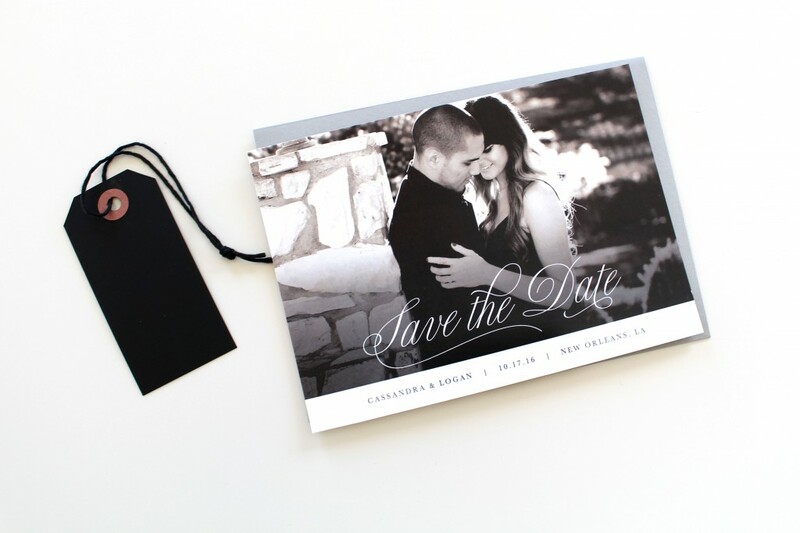 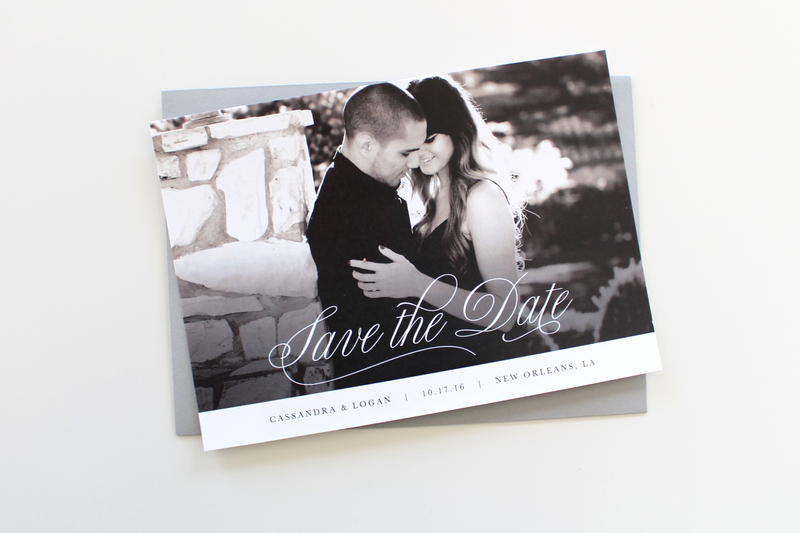 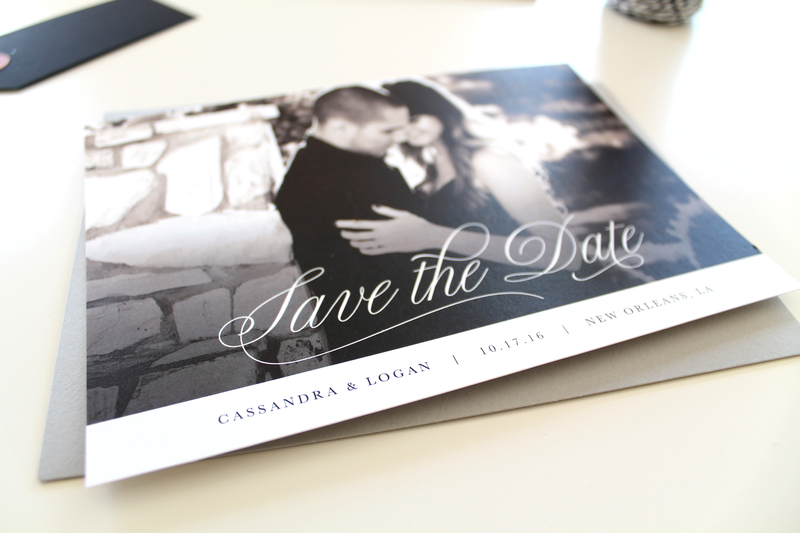 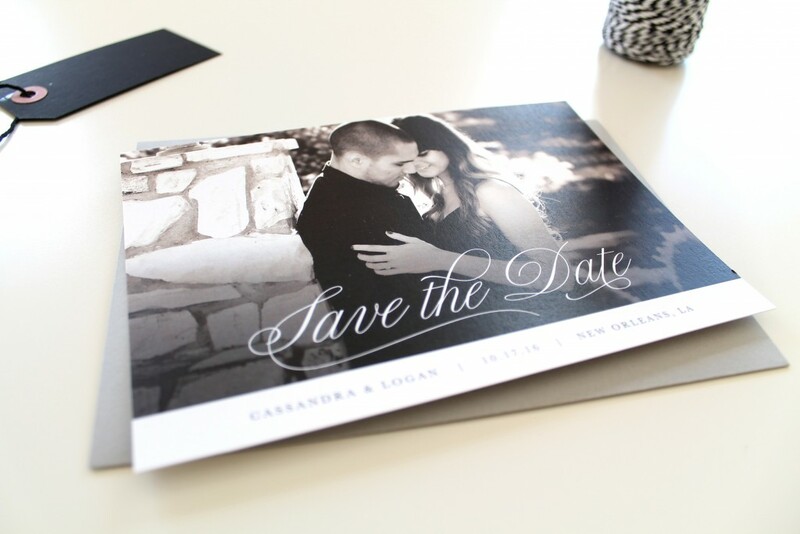 We have also paired this set with classic black and white photo save the date card. 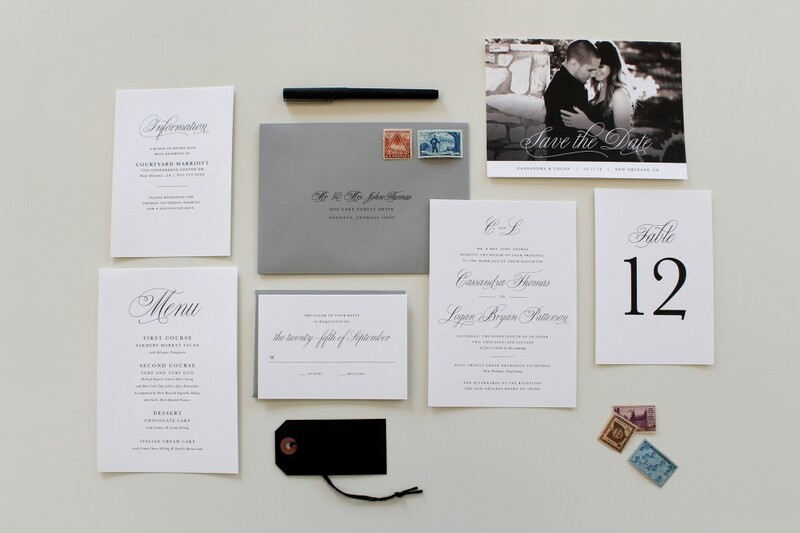 All of these items are available for purchase through our Etsy Shop.